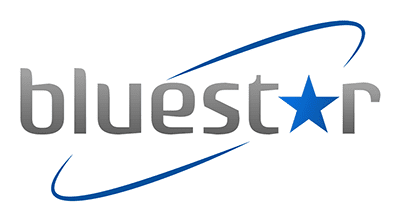 Thank you for your request for a quote with Bluestar! Someone from our team will be in contact with you shortly to discuss your needs. Blue Star offers a full line of hot shot shipping options for smaller shipments as well as high priority, urgent transport jobs. Whether you need a recurring dedicated route or a one off delivery from an auction, we offer the expedited shipping services you need. Most of our hot shot auto shipping utilize late model diesel duallies and 5th wheel or gooseneck 3-4 car wedge trailers rated from 12,000-18,000lbs gross vehicle weight ratings. Smaller trailers mean fewer stops, which results in a faster delivery turnaround time. In addition to standard open air trailers, Blue Star does offer enclosed hot shot shipping, both in smaller Featherlite style trailers all the way up to dedicated Class 8 caravans. Contact us to discuss options available for your shipping requirements. Locate exactly where your shipment is by calling 1-877-445-BLUE or emailing Tracking@BluestarAutoMovers.com and a representative will respond with exact details regarding your order. Call us today via our toll free number at 1-877-445-BLUE(2583) to get free auto transport quote. Bluestar Auto Movers ships and transports over 70,000 passenger vehicles and trucks a year. Allow us to make your delivery our next success story! Musk called his problem ‘delivery logistics hell.’ What your company can do to avoid the same fate. SO WHAT’S THE BEST WAY TO SHIP A CAR? HERE’S A LOOK AT A FEW GREAT OPTIONS. What’s the best way to ship a car? Whether you need to move a vehicle across the state or across the country, there’s no shortage of options for you. © 2019 Bluestar Auto Movers, All Rights Reserved.